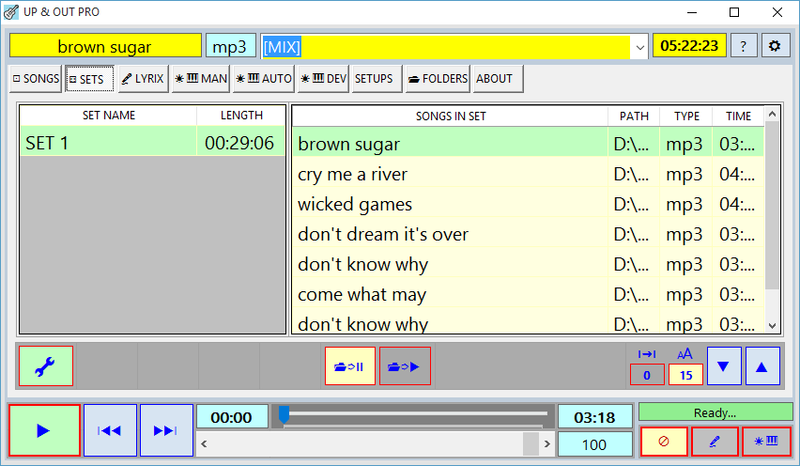 The Songbook is the music librarian / player part of UTT PRO, without the DMX control or MIDI control functions. If you’re using this on-stage, you can quickly control the number of rows and columns and the size of the font in order to create a low-clutter display that can be comfortably viewed at any distance. On-stage or in your home, a convenient continuous-play button turns the [ SONGS ] page into a random-play, no-repeat jukebox. In one compact, easy-to-use device, your entire music collection is at your fingertips. The lyrics page scrolls automatically whenever there is more than one page of information in the lyrics display. 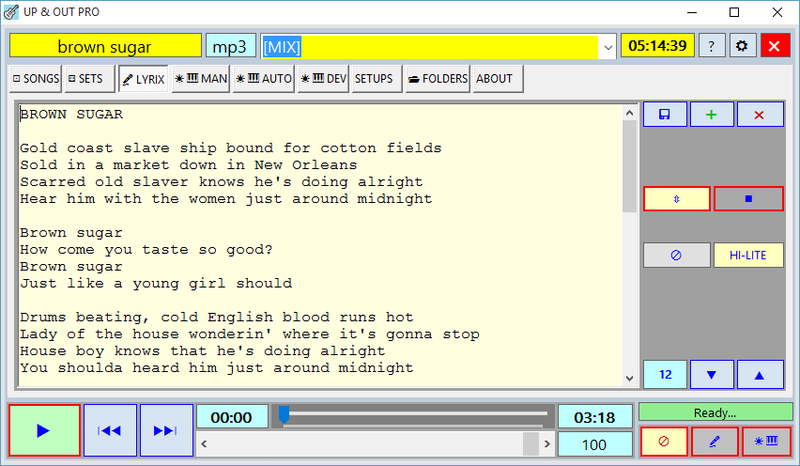 Pro & Songbook can automatically switch to the lyrics page when the song is started, and will automatically return to the SONGS or SETS page when the song ends.